Electric bikes, or e-bikes for short, are fast becoming a popular and useful way to travel. They are exactly the same as the normal bike you ride, except for one major difference - an electric bike has a battery and motor fitted to it, to help assist you in your pedalling. Not quite as fast as a motorbike, of course - but then there is no insurance or tax to pay either! E-bikes have come a long way in recent times. It really is easy to see the great leaps in the technology, with better performing batteries and the bikes themselves becoming lighter. The batteries now offer you a range of anywhere from 30-75 miles per each charge. This of course depends on which you are using, as well as how often you call upon its power during your ride! The motors are placed on the front wheel hub, or are frame mounted. At Road Rags, we prefer the frame mounted as the weight distribution is better, more balanced. This helps give the rider greater stability and is far more efficient to drive the power through the chain rather than the wheel. E-bikes were initially hybrids for use when commuting. This area still sees the greatest sales volume. We came across them when we were designing our cycling clothes for commuters, but are now seeing more electric mountain bike, road bike and folding bike offerings on the market. Our clothing. designed for commuters. Big names are moving into the marketplace for electric bikes - Bosch, Shimano and Yamaha are all providing the power and all the major players are using these motors within their own frames and set-ups. This includes new electric road bikes by Giant, Canyon and Pinarello. Even Pininfarina, more famous for designing Ferrari's, have launched an E-voluzione bike to great acclaim! Scott have just launched an incredibly comfortable E-Sub Tour 2018, made for touring as well as commuting which we tested recently. However it was interesting to talk to the very knowledgeable guys at Pankhurst Cycles recently. Although mountain and road ebikes are becoming popular, it is the sales of the likes of the urban/commuting Ghost Andasol that still see greatest demand. This growing trend for electric bikes is a serious opportunity for bike manufacturers to woo yet more of us from our cars, at a time when congestion and high cost squeezes the motorist pocket and patience more and more. Who says an electric bike won't help get you fit? If you know you want to get into the health habit, but think you need some help getting started, an ebike may be all the encouragement you need to get into some cycling gear and get some fresh air. With an electric bike, you get the benefit of no sweat. The e-bike means you can take your cycling a little easier, saving on the effort that causes you to perspire. Perfect if you are going somewhere and you do not want to turn up red in the face and sweaty! Using an electric bike also means you can wear something smart (like Road Rags clothing) because on an e-bike you don't feel like you need to dress up in Lycra, or be as aerodynamic as you can possibly be. This no sweat benefit will be even more enhanced if you wear merino wool to cycle in, a brilliant natural fabric for cyclists (and golfers, horse riders, yoga lovers...) We have designed cycling kit that is smart enough to go to the office in, or to wear when meeting up with friends. Wearing merino wool, it regulates your body temperature, meaning that it will keep you cool in the summer. It will also wick perspiration away from the body and, importantly, is naturally anti-odour. An e-bike can carry heavier, cargo items. Like children or grandchildren, perhaps...? While it allows you to ride with a more serious cyclist. An electric bike helps those who haven't cycled for a while to get out with regular cyclists. Negating any disadvantage from lack of practise, everyone can ride together and have a day out. It will even help older people back to cycling and enjoying all of the benefits of a ride.... or perhaps make it easier for you to commute to work? At Road Rags, we are seasoned commuters who love cycling. Cycling is, after all, the most traffic free and healthiest way to get to work. An e-bike will be a little heavier than a normal bike, but with the assistance of the motor, you will have all the power you need to cycle a long way! The other benefit of commuting by e-bike, is that you may also be able to get help buying a bike if your employers have a cycle to work scheme. If they don't, ask them to start one as a wellbeing and benefit reward in your company. You could also claim back some of the mileage on your commute from your employer, as HMRC allows for 20p a mile on an electric bike! Best of all you can leave the car at home! Get an electric bike because sometimes... it is good just to stop pedalling so much and take it easy. Why Are Road Rags Clothes The Perfect Fit For An E-Bike Rider? Our clothing is perfect for those who ride electric bikes. We wanted to design clothing for men and ladies who love cycling as much as we do. We also wanted our clothing to look as good off the bike as it was comfortable to wear on it. As mentioned above, the worst part of any commute is turning up to work in lycra, hot, sweaty and needing a shower. Using our clothing, you can bypass this problem. 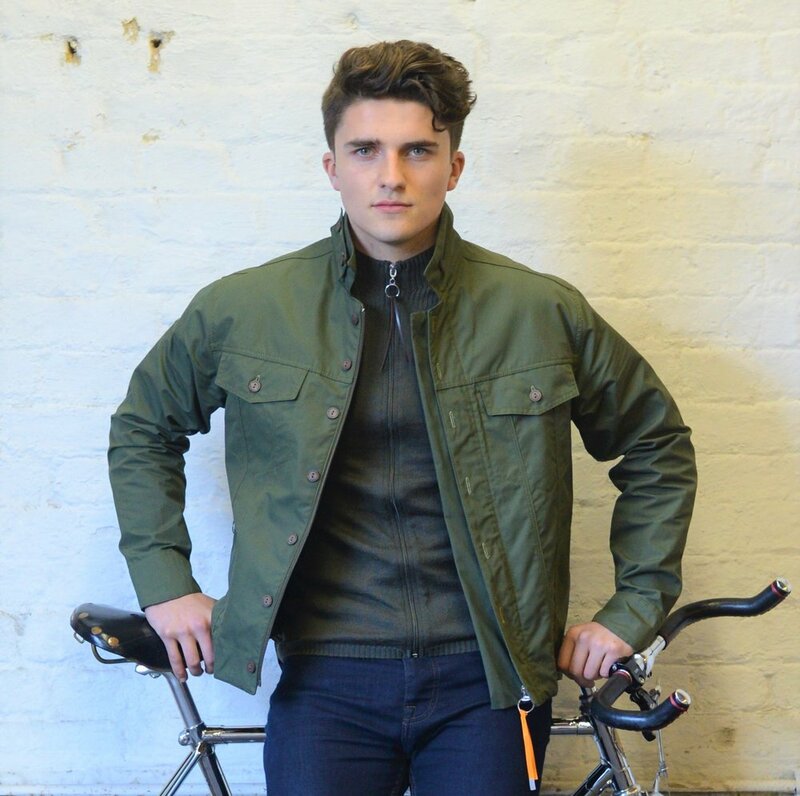 Wearing our garments alongside using an e-bike for your morning commute may well be the best decision you have ever made to transform not only your travel to work, but your day at your desk too. We chose merino wool to make our clothing from because it wicks sweat away from the body, doesn't smell and the feel is truly luxurious. Merino wool really will keep you fresh and our designs will really keep you looking stylish. You can see here what the Telegraph thought about our cycling clothes - Great Alternatives To Lycra. And if you need clothes to wear that will keep you warm, that fit well when in the cycling position and look great when you arrive at your destination, then think about Road Rags. This is what makes Road Rags clothing perfect for the electric bike owner.